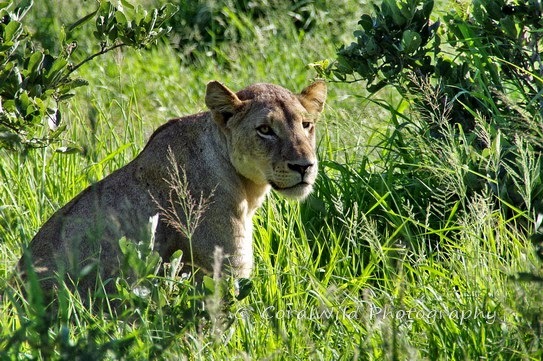 It's early on a late-summer morning, and we're taking a quick drive north of Satara before turning south for Skukuza. 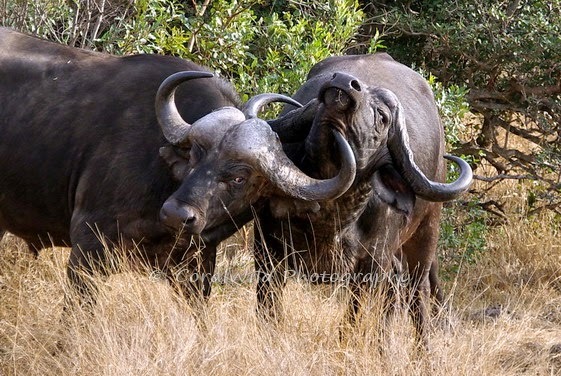 Slowly we become aware of a commotion on the fringes of the herd and we look ahead to see two buffalo bulls having a fight. 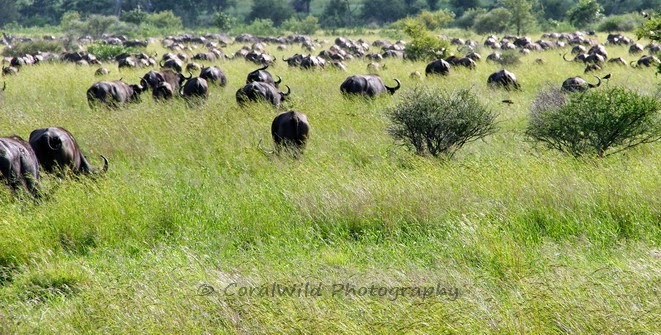 As we move closer one of the bulls hooks his horn deep into the ribs of the other. The wounded buffalo starts bellowing desperately and the whole herd seems to instinctively coalesce and start moving towards the distress calls. I look ahead and can't believe my eyes....... four lions, females and sub-adults, are on the road also looking towards the distress calls! 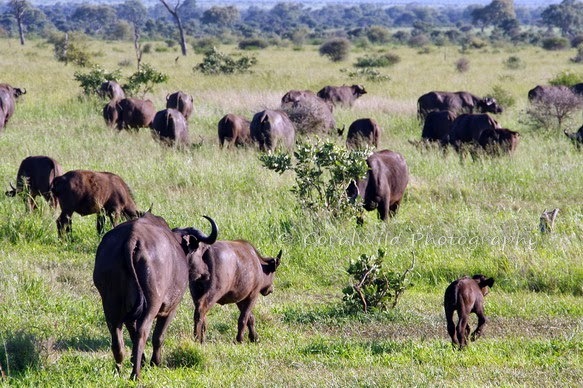 They quickly cross towards the sounds and within seconds the closest, lead buffalo spot them as well. 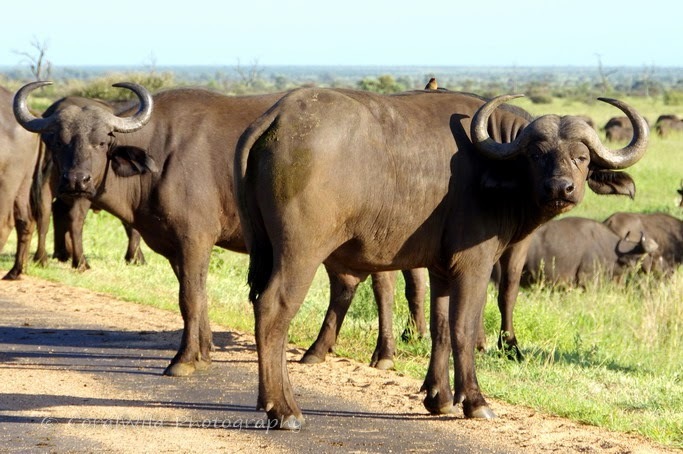 We don't know what happens to the wounded buffalo as all attention (ours and the herd) is now on the lion. With no pause the herd start trotting purposefully towards the lionesses with the leaders breaking into a run. Turning tail the lions disappear into bushes next to the road side. 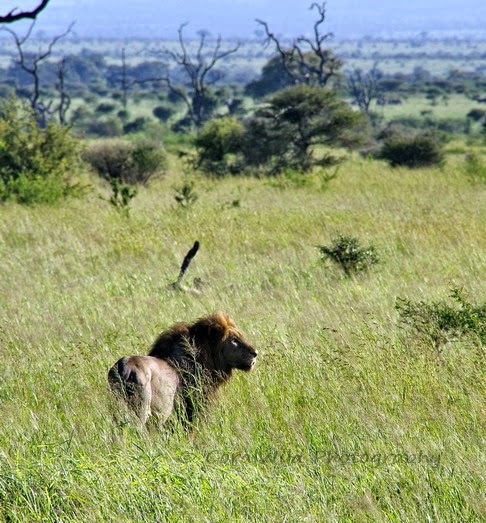 Having lost direct sight of the lionesses the buffalo herd pauses........ and then focus west across the road where following their gaze we also see the 2 massive male lions in the open grassland. 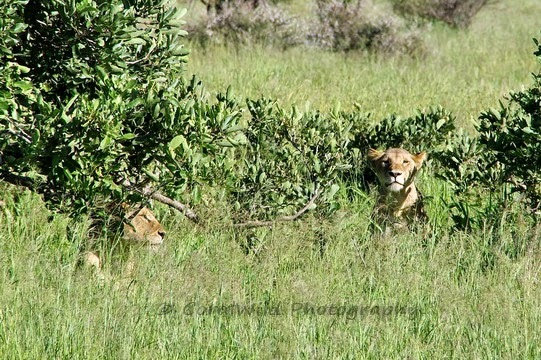 They are obviously more concerned about the male lion than the lionesses and juveniles they've just chased into the bushes. 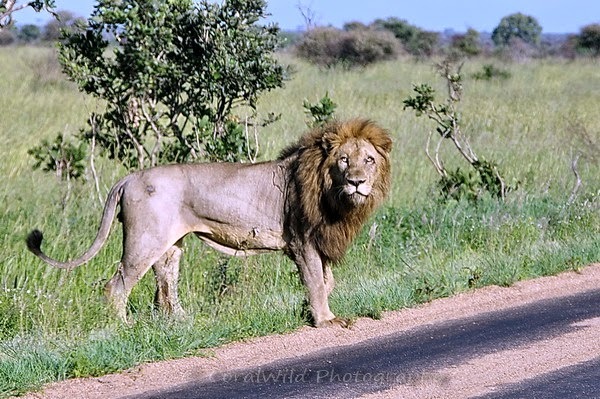 As the buffalo momentum slows, I drive through the herd still crossing westwards and we manage to get close to the second male lion as he crosses over to the east following, at a safer distance, the original direction the herd was moving. As you can see from the photo, this male has been through a few battles before! all three of you being there to share this amazing sighting with me! Great show! 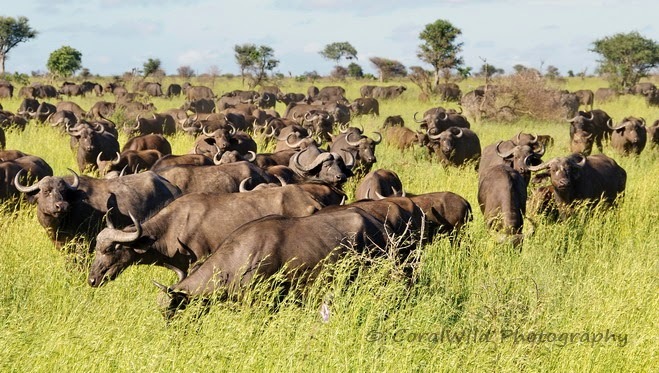 Other than the weak, injured and young, it seems these huge herds should be able to defend against lions. But you can't blame them for trying. One also wonders what became of the injured buffalo. 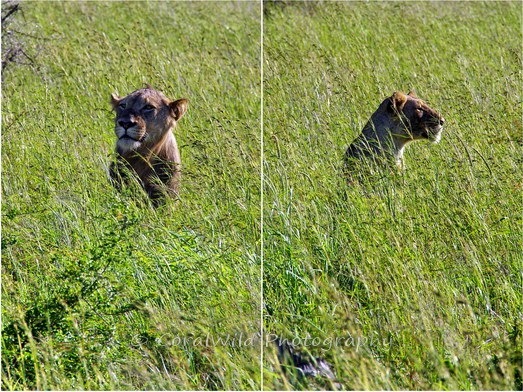 If he didn't recover soon enough he would likely become a target for the pride. Hi Coral .. amazing photos and then the video ... so great to have that snippet of movement .. Thanks for stopping by Hilary. I hope to catch up on some of your recent posts this week.